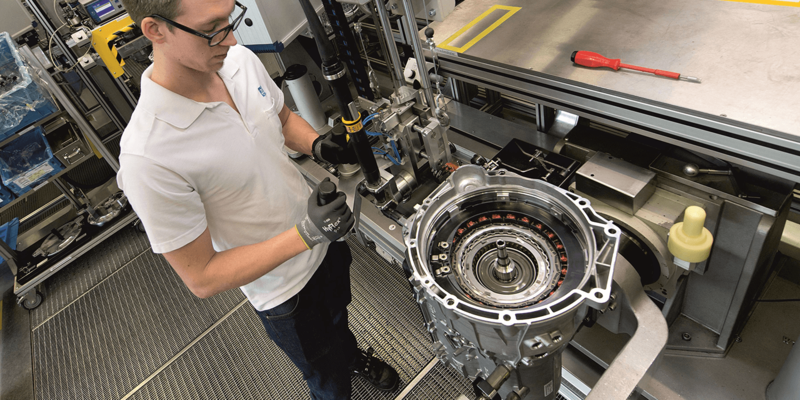 ZF Friedrichshafen has received an order from BMW to supply its advanced 8-speed automatic transmission with a volume in the tens of billions over a long period of time. The latest version of the ZF 8-speed transmission, which has been in production since 2009, is technically optimized for the integration of electric drives. This also includes hybrid transmission variants. Series production of the new transmission will start in 2022 at the ZF site in Saarbrücken where the company has been focussing on hybrid transmissions. Over the up-coming few years, ZF is also planning production ramp-ups at other sites, including the USA and China. “This business win is the largest single order in the history of ZF,” says Wolf-Henning Scheider, Chairman of the Board of Management of ZF. “..it confirms our strategy to focus on plug-in hybrids as an every-day solution and to develop attractive products in these areas.” continued Scheider. Electric motors don’t need an eight speed auto?